It was the roaring 1920s. The world war was long since over and the hardships of it forgotten. The war had continued the industrial boom from the last century, but a post-war recession had slowed things down dramatically. In the South there had been some bankruptcies of formerly strong businesses, but overall the future looked bright. Business leaders stayed busy with their daily routines, and there was an aura of fun in the air. The workweek was long and the weekend was short. Everyone looked for spots of joviality and breaks in the seriousness of life. Money was becoming more readily available, and everyone looked for something fun to do. The civic leaders of Augusta realized that there were needs in the community and it was their moral obligation to give back to their community some of the benefits they had reaped. They wanted to exchange some of their spare time for the benefits of personal community service. 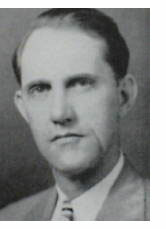 Among those leaders was a bright young lawyer, William M. Lester, and he felt that need. He felt that something was missing in his life. He needed to give back to the community. Just as he and nine of his close friends were meeting to discuss the needs of the community, he was approached by a representative of the National Exchange Club, only recently formed in Ohio; and the match was perfect. Mr. Bill, as he was known, saw the opportunity to accomplish exactly what he wanted as a part of a national organization that had quite similar goals and objectives. This group of nine quickly expanded to 34 enthusiastic young men who wanted to exchange ideas, service, and fellowship. They were eager to exchange some of their free time for service to their community. Almost as soon as the charter was accepted, the club began to take on a huge project. The Savannah Valley Association of Agricultural Clubs had appealed for financial support all over the community, and finally decided to abandon its plans for a Fall Agricultural Fair. On October 3, 1923, the Exchange Club met and voted to take on the Fair as a project. By October 11, the Club announced that the famous Johnny J. Jones Exposition Company was coming to Augusta for one week, November 12th to the 19th. A site was chosen by the carnival on the corner of 15th Street and what is now known as Laney-Walker Blvd. It would host the carnival nicely, but the Club quickly began to expand the plans and more space was needed. A poultry show was added, followed by a Miss Augusta pageant, and a Baby Show. Fifty-seven babies had been entered by October 25th and by opening day there were more than 700. There were 47 young ladies in the Miss Augusta Pageant. The Fair was to open with a parade with four bands, 25 business floats, 20 fraternal order floats, and numerous military organizations. A crowd of over 25,000 persons lined Broad Street to see this grand parade which ended at a newly chosen site for the Fair at the lower end of Greene Street. Each day of the Fair was dedicated to a different theme, such as Merchants, Farmers, Children, Augusta, and Everyone. The entire production was a smashing success, especially considering it was taken from being merely an idea to becoming a huge production, all within the span of six weeks. 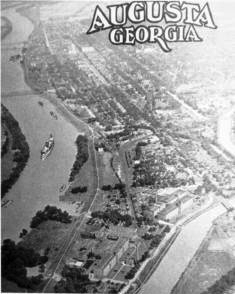 The Fair continued to expand its operations, so in 1937, the Club negotiated with the Board of Trustees of the Academy of Richmond County for the purchase of 18 acres between 3rd and 4th Streets running from Hale Street on the North to Laney-Walker Blvd. on the South. This was the old baseball field where Ty Cobb played his first professional game and had his first hit and his first home run. It was on this field that numerous major league teams practiced and played exhibition games. This field was the perfect place for a fairground where the citizens of the area could again come for entertainment. The Club bought the field and continues to hold the fair there. The Fair operated under the name of the Augusta Exchange Club Fair until 2001 when the name was changed to the Georgia-Carolina State Fair in order to recognize that it is truly a Fair that draws from and benefits residents all over the Central Savannah River Area, from both sides of the River. It continues to be sponsored and operated by the Exchange Club of Augusta.